Followers of Urban Wilderness know that the Milwaukee County Grounds in Wauwatosa is among my favorite places. I try to keep abreast of ongoing developments. One of the most significant among many remarkable features of that diverse urban landscape is the Monarch butterfly migration. 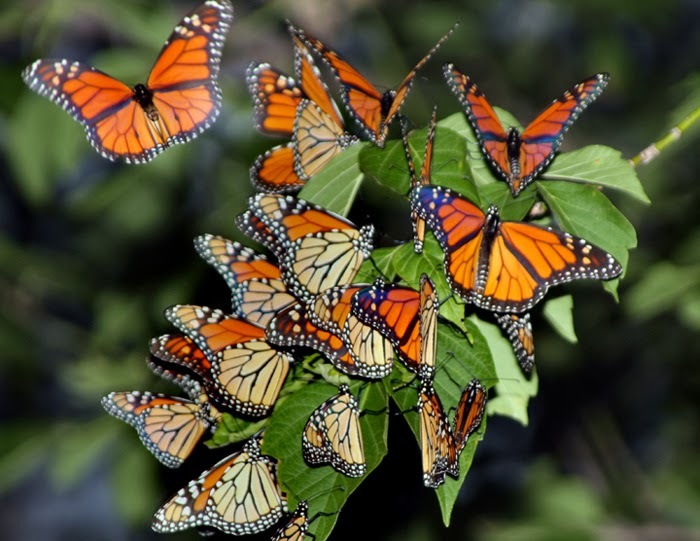 Historically, migrating Monarchs have roosted there in great numbers. It is one of the few known roosting sites in the region. The planners and developers of Innovation Park, UWM's research accelerator and business campus, have honored the phenomenon by setting aside an 11-acre portion of their development zone as butterfly habitat. And there is a dedicated group of volunteers who maintain the Monarch Trail for the ever increasing throngs of people who have discovered how beautiful it is. Of course none of this is happening in February, so you may be wondering why I bring it up. Last August, when it was happening, MPTV sent a camera crew to cover the story and interview some of the principle people involved. These include the indefatigable leader of the Friends of the Monarch Trail, Barb Agnew, and Sue Borkin, a biologist with the Milwaukee Public Museum. The video they created has just been released. You can see it on Adelante! The video explains the unique character of the Monarch migration, the significance of the County Grounds as a stopover on that migration, and threats to the Monarch population and the continuation of the migration. 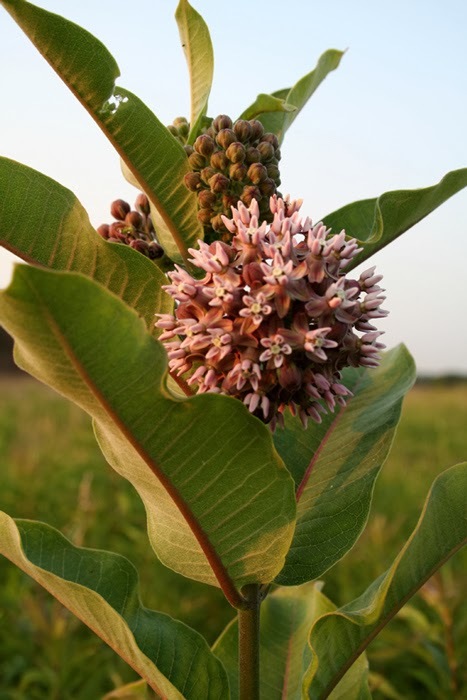 These threats include the loss of critical species like milkweed (below), which is the Monarch caterpillar's only source of nutrients. The video also shows the Friends of the Monarch Trail leading the effort to involve more people in preservation and enjoyment of the site (above). Although Adelante! is a Spanish language program, don't be deterred by the introduction, which is in Spanish with English subtitles. The people who are interviewed during the segment all speak in English. The Monarch segment is at the beginning of the program and lasts about ten minutes. 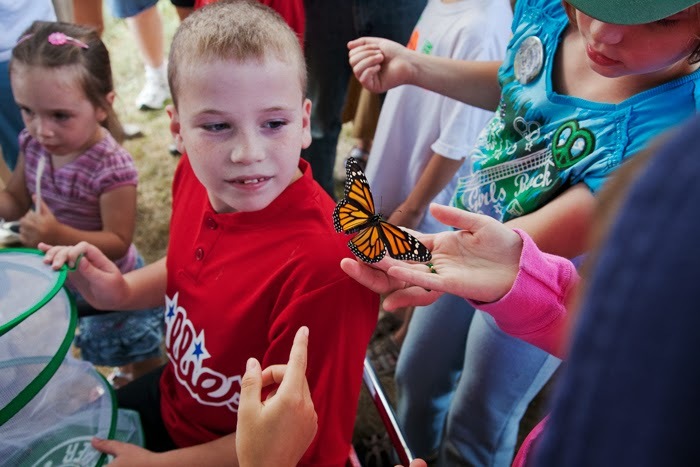 Check it out: Monarch Migration.